I’ve been out of town again with work. 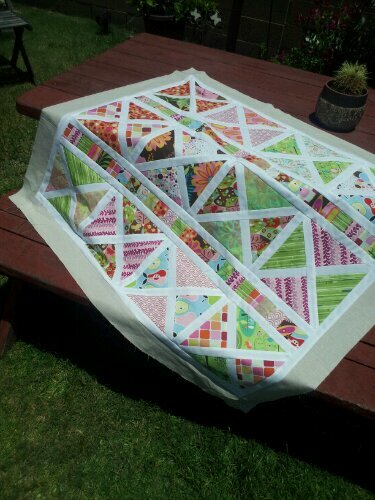 It was a busy, exciting and tiring week in Singapore… I have Baby Ellie’s quilt basted and ready to finish, and am hoping the jet lag calms down enough to get it finished this week! 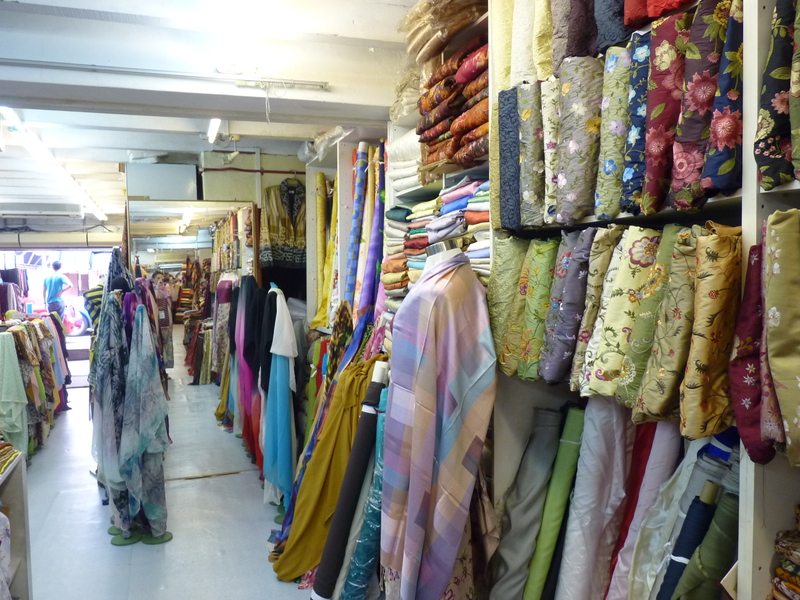 While in Singapore, I heard these magic words: ”there’s a district where they have great fabrics.” So on my first day off and my final day in the city, I took a walk to Arab Street, which was filled with store after store after store of bolts of fabric. 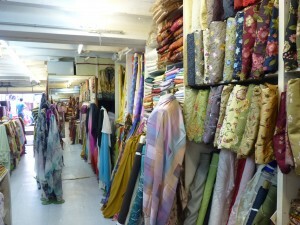 Much of it was beautiful silks, mixed in with hand painted or hand stamped batiks. Overwhelming, but great. 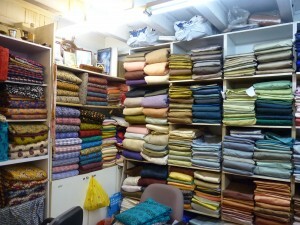 I took home a few batiks – some that I’m not sure I’m willing to cut into – a handmade table runner, and a quilted tote. It really took a lot of motivation to not get more, but not paying overweight charges for my luggage helped. I’m looking forward to cutting in and creating something from this fabric. I’m thinking that trying to replicate that tote may be a good first start.